Children’s activity holiday offer at Flamingo, thanks to its animation for children, the Mini-club, mini golf, private beach and children pool, is the perfect hotel to organise a family holiday in Sardinia. Hotel di Pula is the perfect solution for a family holiday. 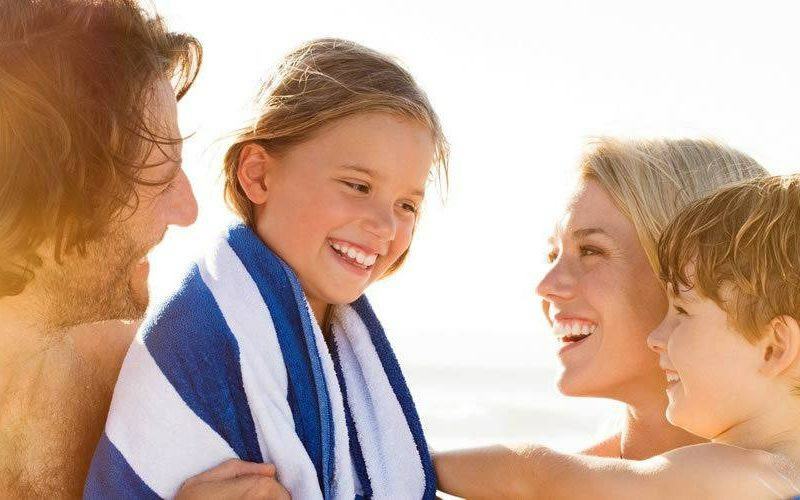 For all this Hotel Flamingo offers fantastic promotions which include One child free tariff (valid for only one child). Family Offers for the 2019 season. A perfect hotel for children, thanks to its position directly by the sea, with all commodities to have an enjoyable holiday with children. From various services for children, the pool where they can cheerfully enjoy themselves, an amply equipped garden where they can play, mini golf where they can stop and the precious Miniclub where they can all play together, while parents can consider some time to relax. Their long term preparation guarantees maximum security and at the same time maximum enjoyment; while the little ones play in a creative and enthusiastic manner, parents can enjoy a moment to relax. From 21:15 to 21:45 dancing with Baby Dance. The Miniclub is open to all children 3 years and over. The children’s animation team is expected to start from 15 June 2019 until 15 September 2019 .